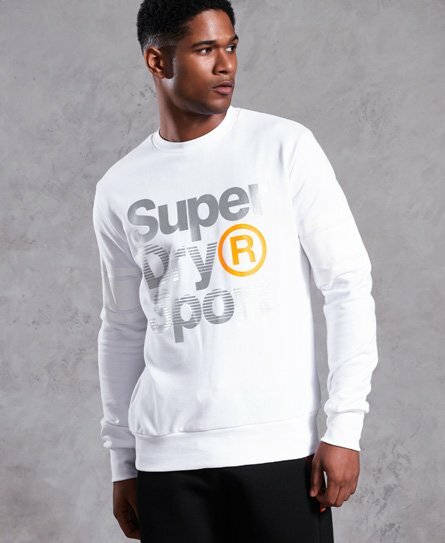 Superdry men’s Boomer crew neck sweatshirt. This sweatshirt features a large textured Superdry Sport logo across the front, a stripe design on the sleeves and a large number graphic on the back. Pair this sweater with joggers for a comfortable, workout ready look.